With the enormous amount of hype surrounding 5G, one fact cannot be disputed: marketing works. 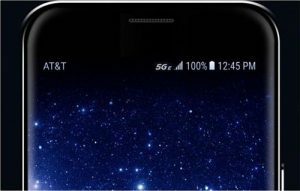 The claims may be dubious, like AT&T’s placing a “5G E” icon on the of some smartphone displays for its “5G Evolution” product that isn’t 5G, “real” 5G coming to smartphones early this year, and an assortment of other claims in the last few years. But the marketing has worked, and if you don’t believe me, look at the chart below, which represent the results of my basic Google search for various topics. The search delivered 570 million results for 5G, higher than those for some entire countries, and “only” 227 million fewer than for 4G that has been around for years and was promoted for years before that. And 5G isn’t even here yet. So yes, marketing works and for 5G its results are truly stupendous, and now that 5G is actually very close to fruition, it’s making an already complex topic even more confusing. So where are we, really, with 5G? We’re edging our way into it in stages, first of which arrived as fixed wireless access (FWA) when Verizon rolled out its 5G Home offering in Sacramento and three other cities in October, making it the first actual 5G deployment. It’s essentially a limited version of its Fios fiber-to-the-home offering delivered wirelessly at 28 GHz – except faster. Downstream speeds are guaranteed to be at least 300 Mb/s and up to 1 Gb/s in the best conditions, and the company says it will double them in 6 months. So far, AT&T is on the fence concerning its own FWA deployment instead focusing on what its 5G Evolution strategy, which is what the rest of the industry calls LTE-Advanced. 5G Evolution is really LTE with 4×4 MIMO, three-way carrier aggregation, 256 QAM, and the used of LTE Licensed Assisted Access (LAA) frequencies at 5 GHz. Speeds “can” be high, up to 400 Mb/s downstream, which is impressive. However, it requires a new smartphone, of which there is currently one: the Motorola Z3 and its required (and bulky) “Moto Mod” attachment and 5G power pack. In AT&T’s case, their marketing has backfired, making it a target for Verizon and T-Mobile, which are having a field day refuting 5G Evolution. To be fair, AT&T released a statement last April “Setting the Record Straight on 5G Evolution”, noting that it is “evolving” to 5G rather than providing it now. Will customers get that message? Probably not. As for 5G smartphones, it’s likely that the first devices that could reasonably be called 5G-capable will be available later this year with big announcements at CES this month and at Mobile World Congress next month. All will be Android phones as Apple always until the technology is fully cooked before offering it, so don’t expect a 5G iPhone until 2020. A smartphone showing 5G Evolution as the service, which it is – but it’s not 5G.